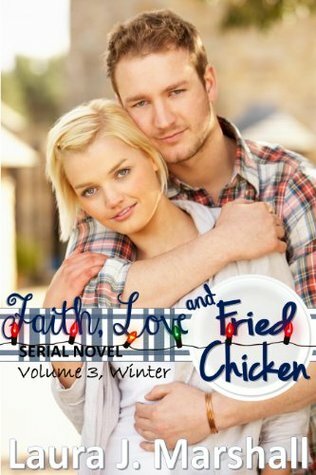 It’s like a breath of fresh air to be able to finally read the next installment of Faith, Love, and Fried Chicken. I have been impatiently waiting to see what new adventure Jaycee would find herself in and where Dash’s plans would take him. I was most definitely not disappointed with this story! Jaycee finds herself at yet another job in the hopes of trying to figure out what God’s plans are for her. She has finally found some peace and contentment in her life, and she couldn’t happier with herself and her relationship with Dash. Dash finds himself at a crossroads, and he seeks God’s help for the guidance that he needs in taking the next steps in his life. While both Jaycee and Dash hold more questions than answers in their heart, they are determined to move onward together with the comfort and satisfaction that God is leading their steps.Once again, I realize why I have fallen in love with Jaycee and Dash. They are polar opposites, and yet they are made for each other. I mean that as more than just a cliché. Jaycee needs the calm, loving, and sensitive nature of Dash to offset her feisty, impetuous, and loud nature. They were clearly handcrafted by the Maker to help each other see what is right in front of their nose, learn to accept themselves as they are, and to fill each other with unconditional love and His perfect peace. These two are very well suited for the other, and while things may get rough at times, it is always easier to handle problems with the one that God made just for you.Laura Marshall has done it again! She has brought us through another intense and rewarding time with this beautiful couple. She never ceases to amaze me with her imagination, her heart, and the unlimited talent that flows through her soul. I wonder what beautiful treasure she will create next. I have no doubt it will be just as touching and life-changing as this story. "The world was a snow globe and she was the princess in it." I will forever remember that line in this book. What a beautifully, marvelous ending to book 3 in this series. I have so little time for reading nowadays, a minute here or there in the car or during lunch, and so lean more and more toward short stories and novellas. This one was sweet and romantic and Christmasy, full of fun characters and a moral we all need to hear.